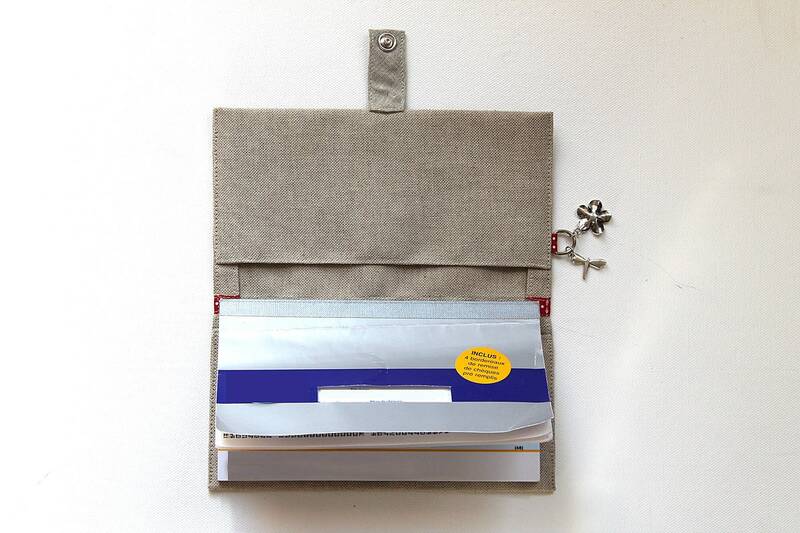 checkbook holder in linen Be Happy ! 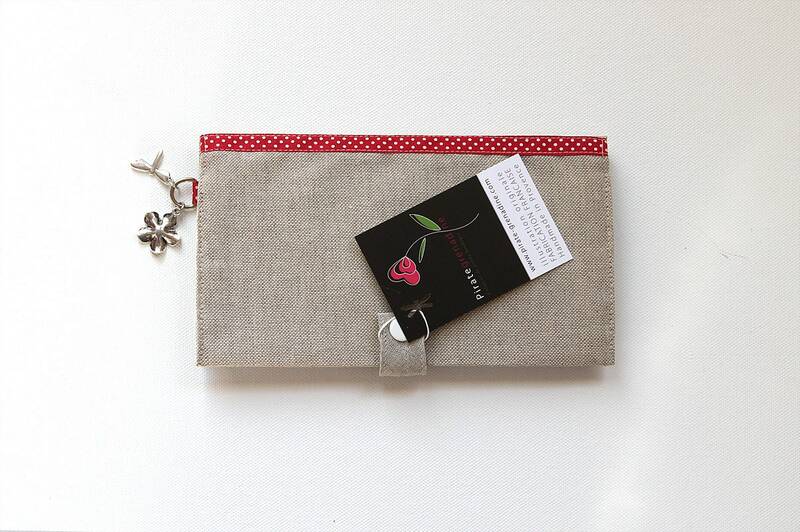 checkbook holder in linen " Be Happy ! " 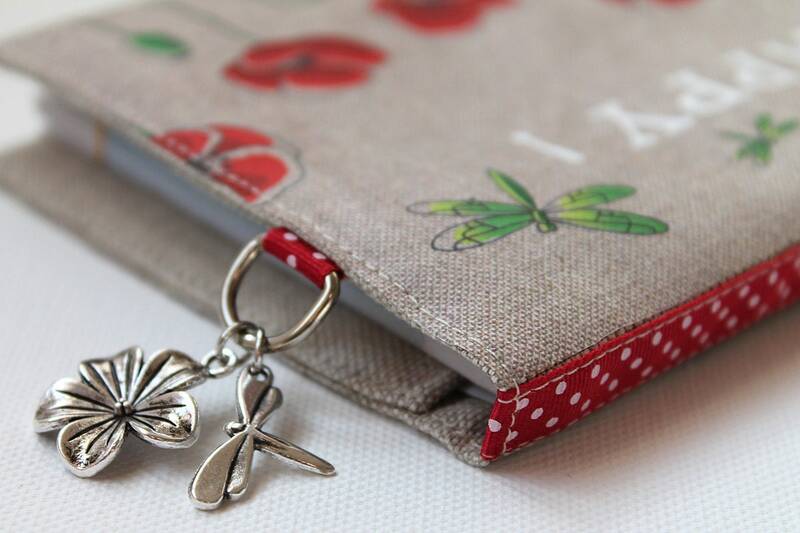 Red ribbon with white dots on the edge and charms on the side (dragonfly and flower in aged silver metal). 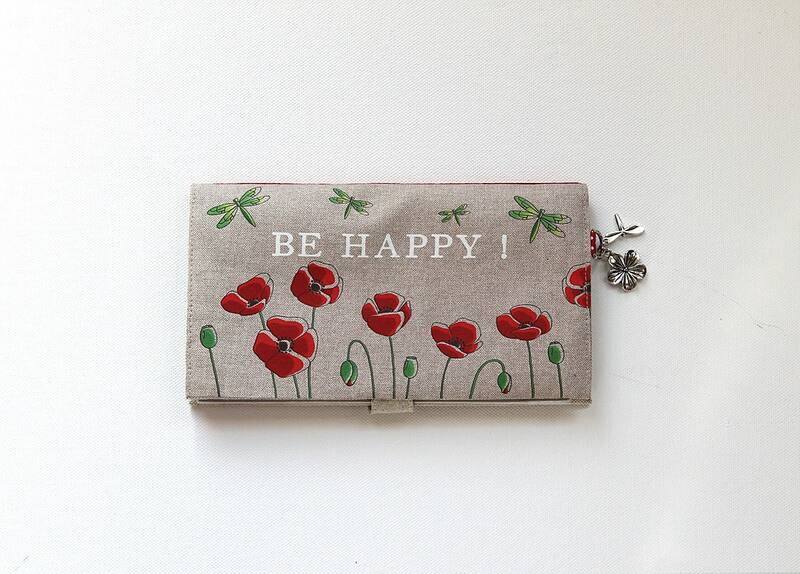 The illustration represents a flight of dragonflies on a field of poppies with inscription "Be Happy! ".